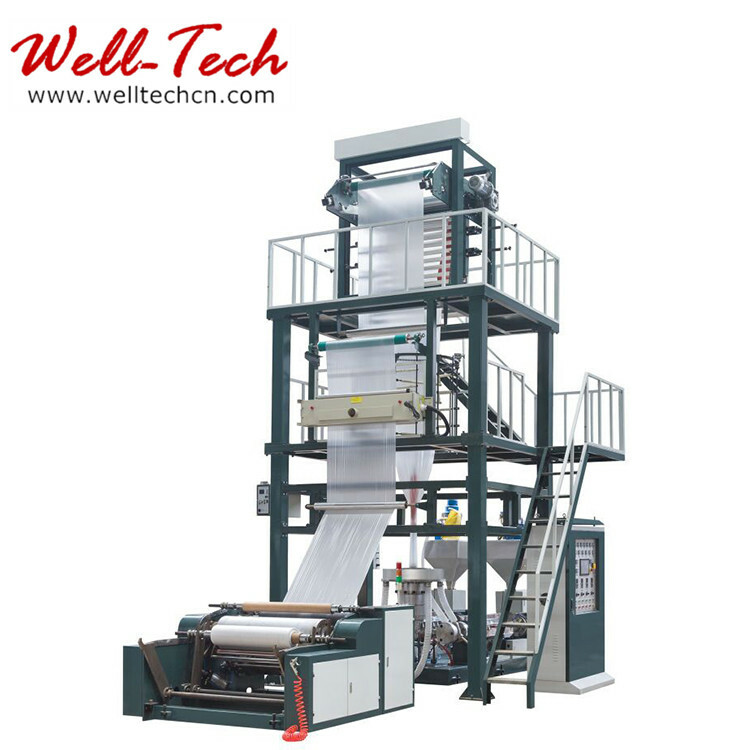 It is used for blowing high-low pressure polyethylene, which has been widely used for producing laminating film, packing film, agricultural covering film, bag or film for textile and clothing and other packing material. The main motor adopts frequency control of motor speed to improve the speed regulating stability of main motor and save electricity by 30%. The screw and material barrel adopt 38 chrome- molybdenum aluminum which has been nitrogen treated and the traction frame adopts lifting type. No matter what size the film is, big or small, it can achieve the best effect of cooling. 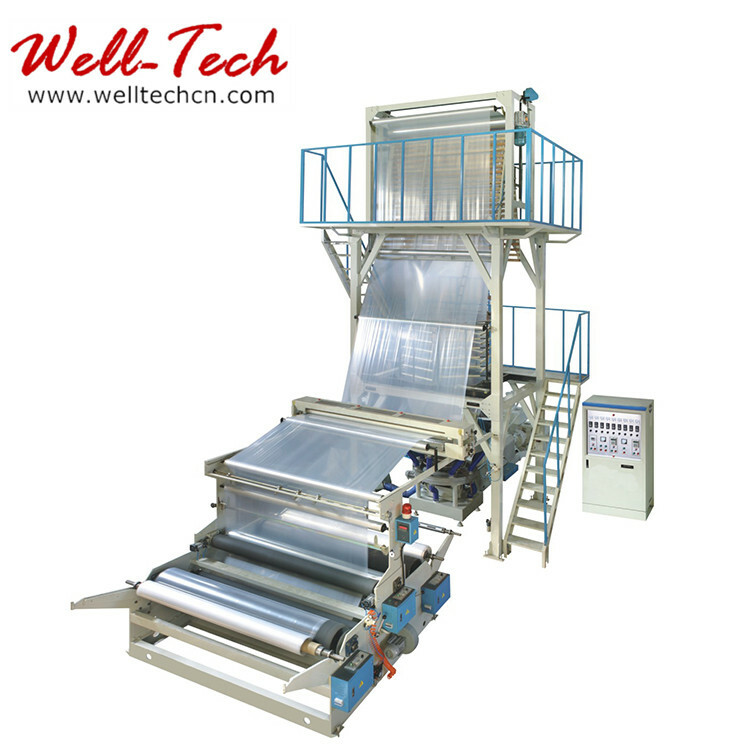 ●Flexible packaging machines design and manufacturing experience from 2000. 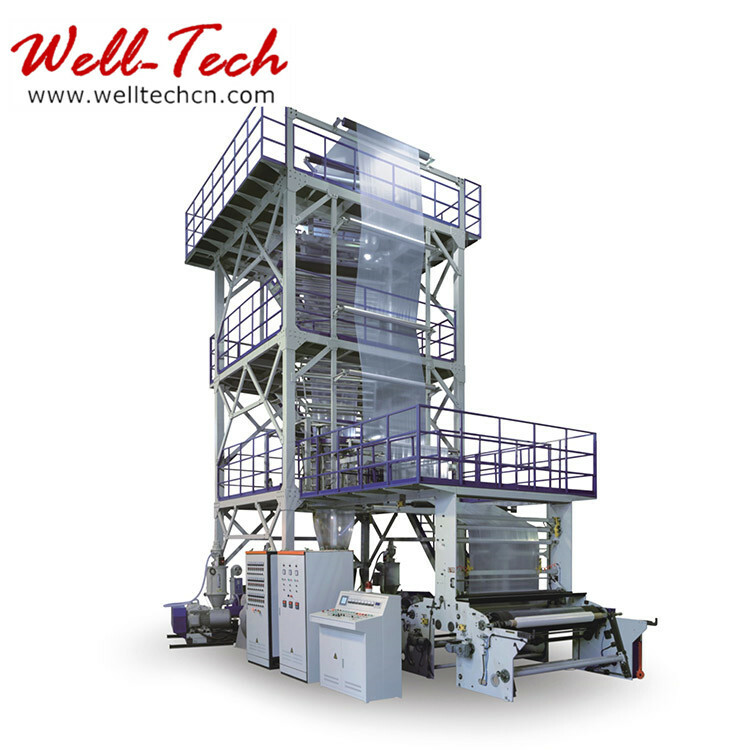 ●QC team to strive to provide superior-quality machinery at 5 stages. 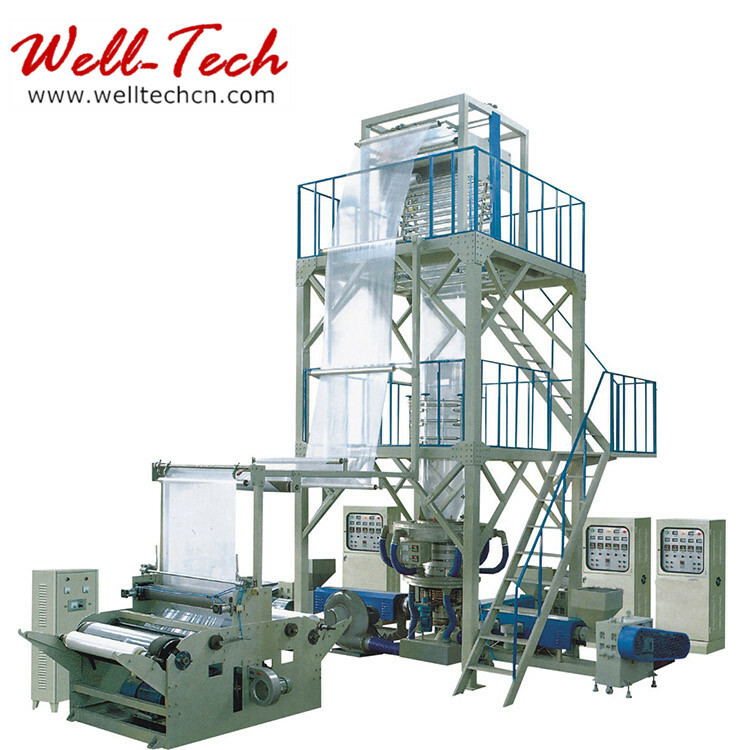 ● Machine operation training, technician dispatch to buyer’s factory are available. ● Professional English-spoken workers to serve 7days*12hours for the whole process. ● 1-2 year guarantee, Lifetime service. ● “QUALITY AGREEMNT”, “REFUND MONEY AGREEMENT can be offered.